This review was last updated on April 30th, 2016. 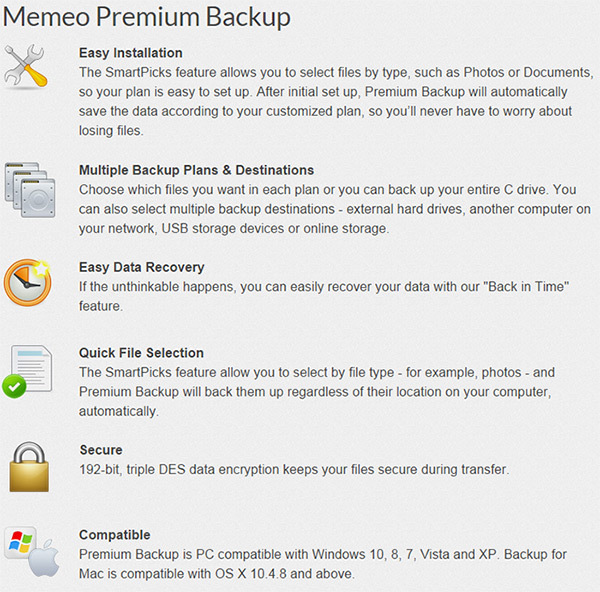 Memeo is a backup solution for both business and home users, offering simple out of the box backup solutions with great security. Unfortunately, compatibility is limited to Windows users only for home backup plans, while Mac users are left with premium plans only. Essentially, Mac users need to pay more on home plans. This service they provide is excellent, but the price plans can seem to be unclear and confusing at first. Their pricing varies across the board on plans available for both home and professional business use like many of the other storage providers out there. However, Meme’s website does not necessarily ease the selection process. Home plans range from $29.95 to $49.95 at the time of this review, and are fairly simple to understand once you’ve read the information for each service. Business users need to contact support for quotes of anything above 50+ employees. Their C1 business solution starts at $75 a month for 5 users although this plan only offers 1,000 GB of storage. You can take advantage of a discounted price by using the sponsored affiliate links below. These links do provide us a small kickback commission that helps support the website, all while discounting the cost. However if you so choose to prefer not buying through our links, simply visit memeo.com directly. Memeo has numerous features that make it stand out in the cloud based services industry. They offer a multi-faceted approach to data storage; sharing and cloud computing by designating specific services for various tasks, choosing between their Memeo home and Memeo business version is important as their business version offers a lot more feature. 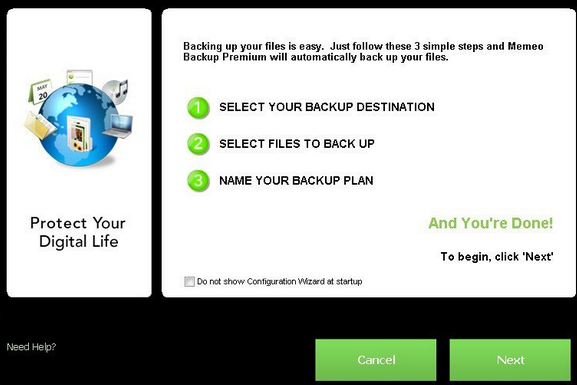 Another great feature this service provides is the fact they offer a great degree of flexibility which allows you to create a variety of backup plans. The SmartPicks feature this service provide allows you to choose files by types; such as documents or photos, so that you can easily set up your plan. Another great feature is the fact that the service provided installs easily and quickly. You can make sure your data is fully secured by choosing to store it over multiple destinations such as an external hard drive. In the business plan, you are offered centralized control as this plan gives administrative managers the flexibility to remotely deploy and monitor several employee workstations. One of Memeo’s overriding features is the fact their “Back in Time” feature lets you recover data easily, this feature allows you to restore multiple versions of files incredibly easily. You can rest assured your data is secured as one of the most important features this service offers is effortless automation, every time a change to a file is made the service automatically syncs and saves it. Memeo is compatible with most Windows and Mac platforms; these include PC running Windows 7, XP and Vista, for Mac with OS X 10.4.8, but lack any mobile or extended platform support. 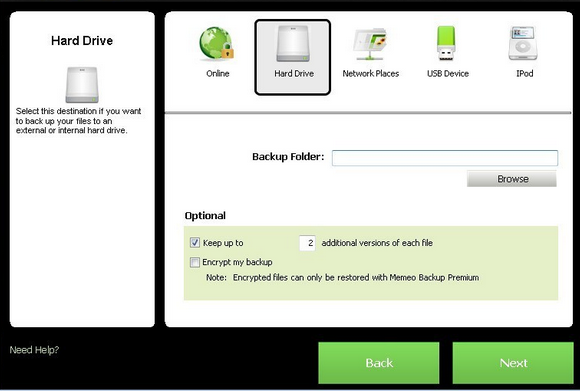 Despite Memeo being a super easy to use backup service, its security is not as quite as simple. The service they provide is backed with a 192-bit triple DES encryption, this ensures the safety of your files not only when their being stored, but from both ends so whilst they’re being uploaded as well. This grade of protection is important as it’s likely you’ll be storing important files across their service and so you will want to ensure you have as many layers of protection as possible. The layered and professional system implementation should satisfy even the most security and privacy conscious consumers. Memeo didn’t “wow” me with a speed test, but I wasn’t disappointed either. They seem to be adequate in terms of their transfer speeds. I tested with a 135MB video file and the transfer was able to complete in 24.5 minutes. To be fair, I think a 135MB file is quite large. Smaller file transfers will obviously take a fraction of the time. Also consider that my Internet is rather slow by today’s standards, with only 1 Mbps upload and 5 Mbps download bandwidth. Because of my ADSL line, downloads are significantly faster than uploads. If you’re on a slow Internet connection, I would likely recommend you look for another service. Backing up can be done across any file type with no restriction. However, your plan does limit you on file size and storage space. Backup wise, Memeo offers great automated backup with file change recognition which can be very convenient for regularly updated documents. 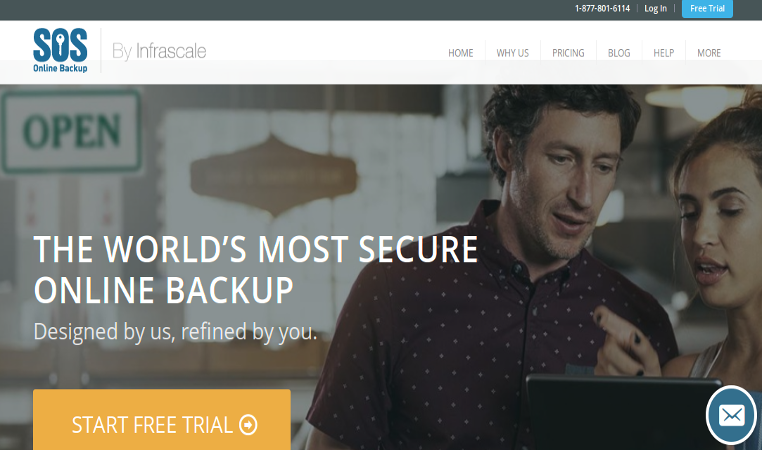 The backup system itself is easy to use and efficient, making the service a good choice for important scheduled backups and folder synchronization. Restoring backups operates similarly to backing up files and is fairly effortless to figure out. 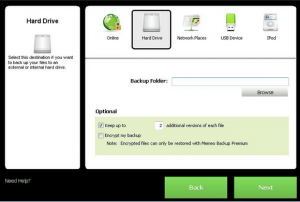 They provide an easy to use interface which includes a one click process, allowing you to quickly restore full backups down to specific files and folders. The saving of multiple versions of files assures that you have those extra copies of older word, excel and pdf documents; allowing you to restore or refer back to an older version of a document. They have a basic knowledge base and FAQ section which is not too difficult to browse, but could certainly use a face-lift. Memeo also includes a ticketing system and account support portal for paying premium and business users. A discussion forum is also available, although I did not spend any time looking around into it to really advise of its’ value. Memeo all in all is a great backup service in itself, however the implementation and plans are just too lack luster or for that matter confusing. When you navigate the site it can be discouraging as it seems you always have to dig for more information. It doesn’t illustrate the service as well as competition in most areas and for that matter is something you should only consider if you feel the features and security really match your needs.